Later tonight (Sat. April 13, 2019) UFC 236 goes down live on pay-per-view (PPV) from the State Farm Arena in Atlanta, Georgia. 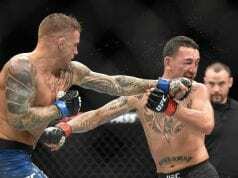 In the main event of the night, UFC featherweight champion Max Holloway jumps up to 155 pounds to face Dustin Poirier for the interim lightweight title. The winner will unify their belt with the returning Khabib Nurmagomedov once his suspension is lifted. Also, in the co-main event, another interim championship fight will take place. 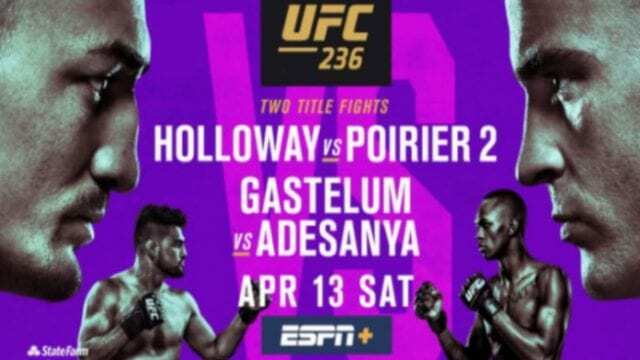 Kelvin Gastelum and Israel Adesanya will lock horns for what would be their first taste of UFC gold. The winner will face Robert Whittaker, who has been dealing with health concerns, in a unification bout.